Komatsu D31EX, PX-21,D37EX,PX-21,D39EX,PX-21 BULLDOZER Operation & Maintenance Manual. The Operation & Maintenance manual will give you complete detailed information on operating, specifications, safety & basic maintenance for your Komatsu Bulldozer. This comprehensive Operators & Maintenance manual features photos and illustrations along with step-by-step instructions that will guide you throughout. This manual contains all you need to know to safely operate your Komatsu D31EX, PX-21,D37EX,PX-21,D39EX,PX-21 Bulldozer. You will find that this manual is an indispensable source of detailed information regarding all operating aspects of your Komatsu Bulldozer including attachments. 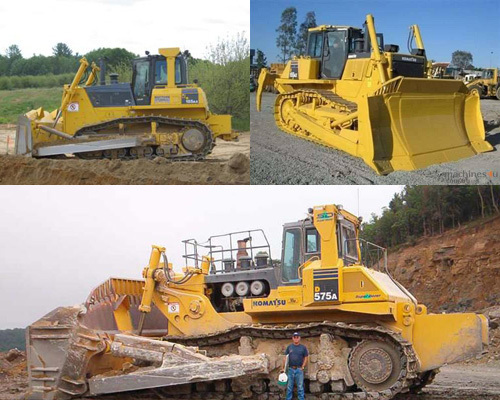 It will help you better understand, care for, and overall will lower the repair and maintenance cost for your Komatsu D31EX, PX-21,D37EX,PX-21,D39EX,PX-21 Bulldozer. *Fully Bookmarked chapters for easy navigation allowing you to identify the exact information needed in the quickest time possible. *Detailed illustrations, drawings and photos to guide you through. If you would like to purchase this Komatsu D31EX-21 Bulldozer Operation & Maintenance Manual click on the instant download button at the upper left hand corner of this page. After purchasing your service manual you can instantly download it and view it. The manual is fully printable, you can print pages from it whenever you need too. Komatsu D31EX Dozer Operation & Maintenance Manual d37ex;d31ex;komatsu operation;komatsu bulldozer 278796486 15.95 fixsomething Fresh Download Available!